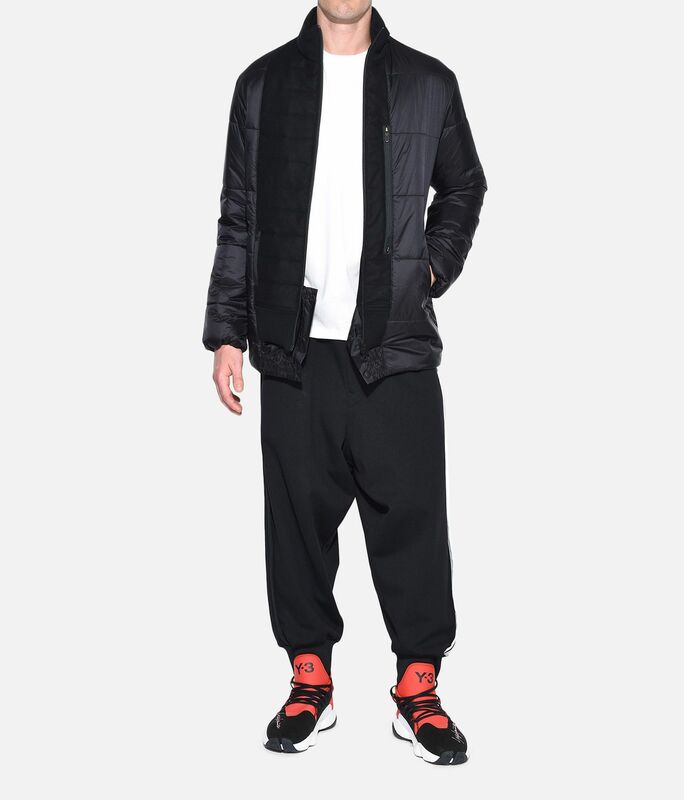 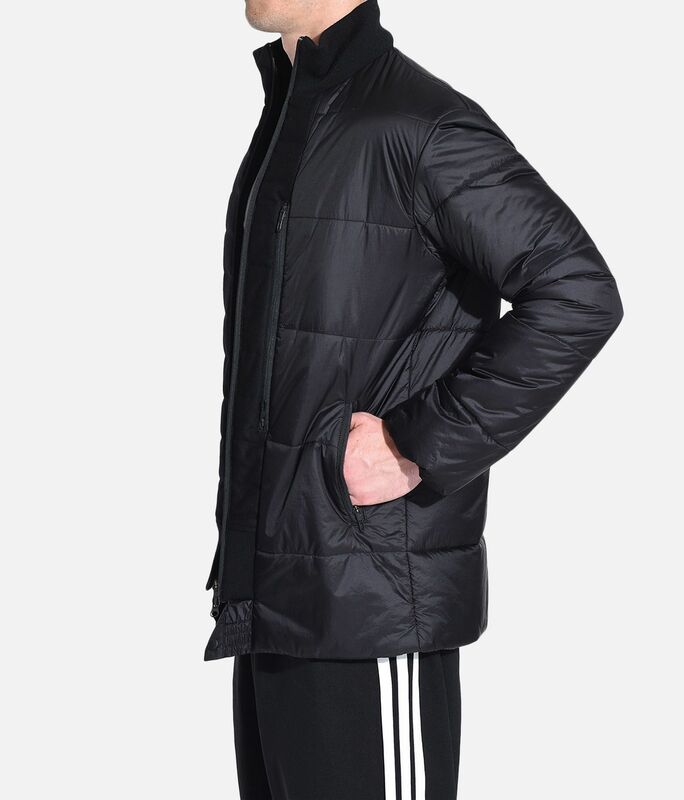 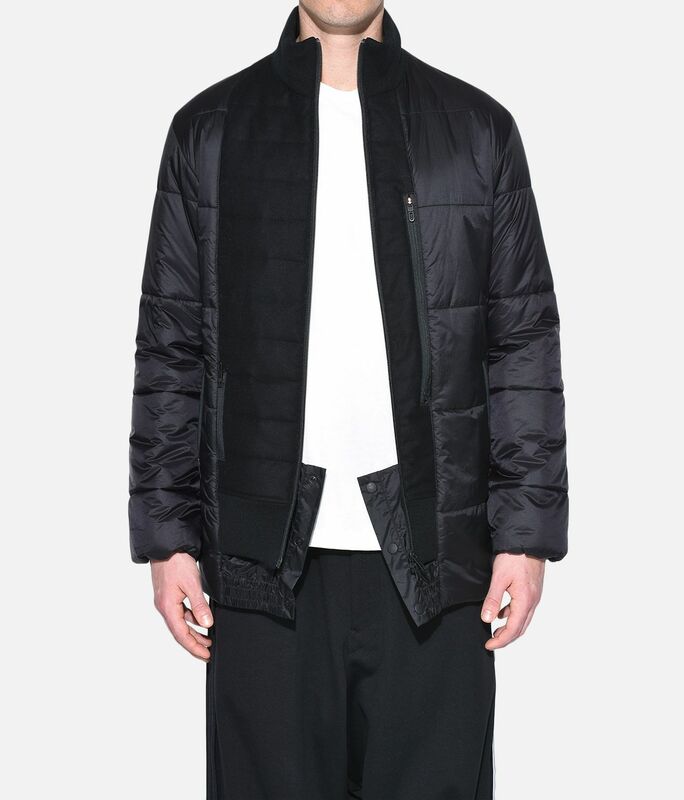 Challenging convention with extreme proportions, the Patchwork Down Jacket transforms a familiar sportswear style. 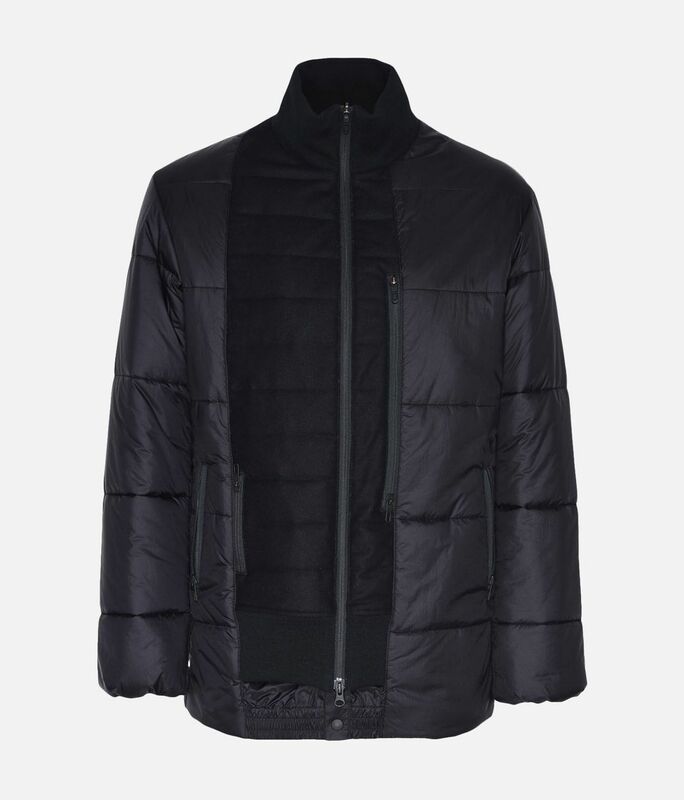 The sleek nylon jacket has an asymmetrical hem accented by ribbed and elastic panels for an unexpected appeal. 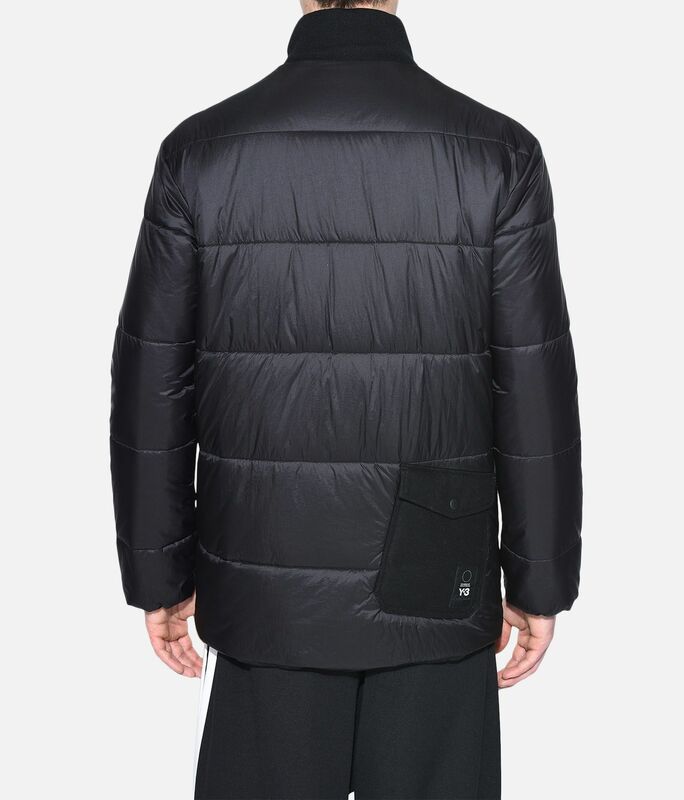 Utilitarian pockets are placed throughout the loose shape.